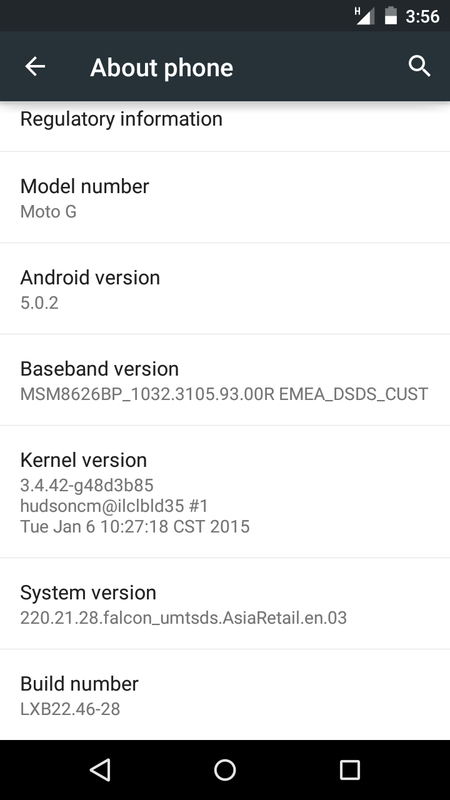 Today I am very happy and excited that today I updated my MotoG with Android Lollipop in India. I am enjoying whole new interface. I got the update that new system update is available. Here the screenshots of my phone. The total size of upload file is 356.5MB. I downloaded over 3G and took almost 15-20 minutes to download. 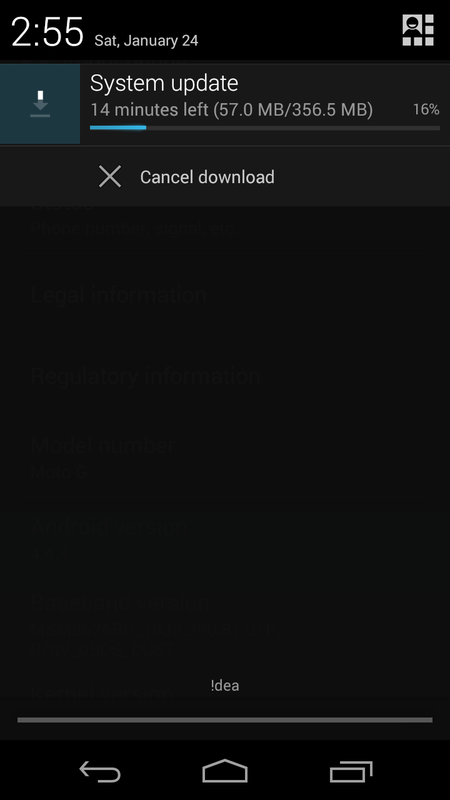 After the download it took 10-15 minutes to get fully installed. 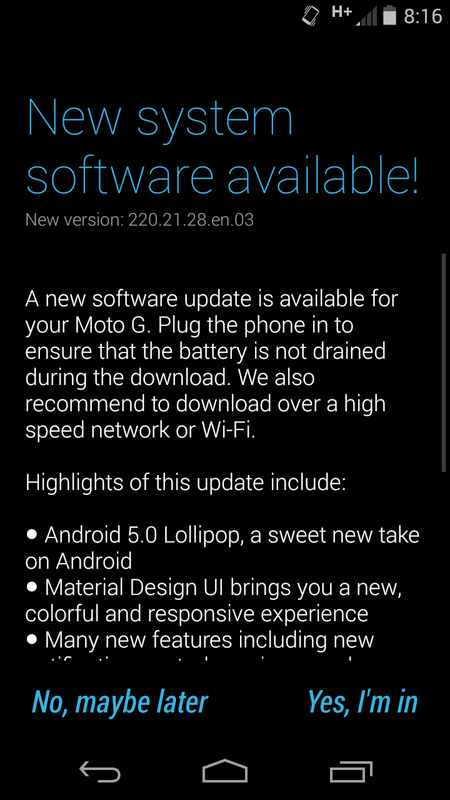 My MotoG got successfully updated to version 220.21.28.en.03. If you are not getting update, please update your Motorola Update Services to latest update to receive the update. 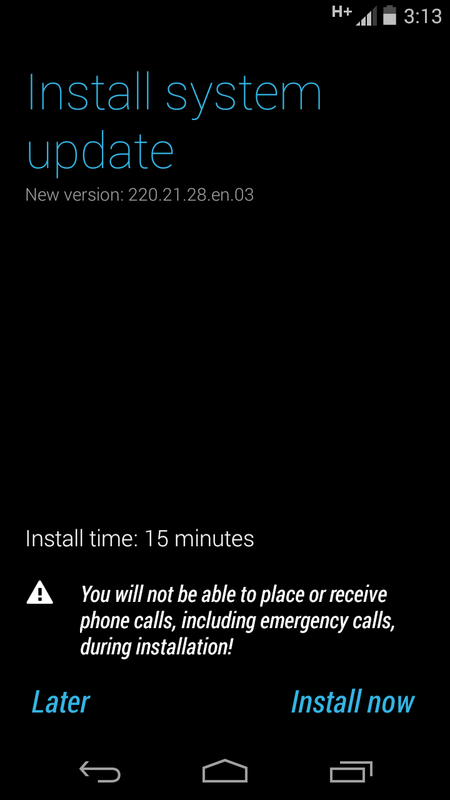 Go to Play Store and update your Motorola Update Services and then go to your Settings -> About Phone -> System Updates.